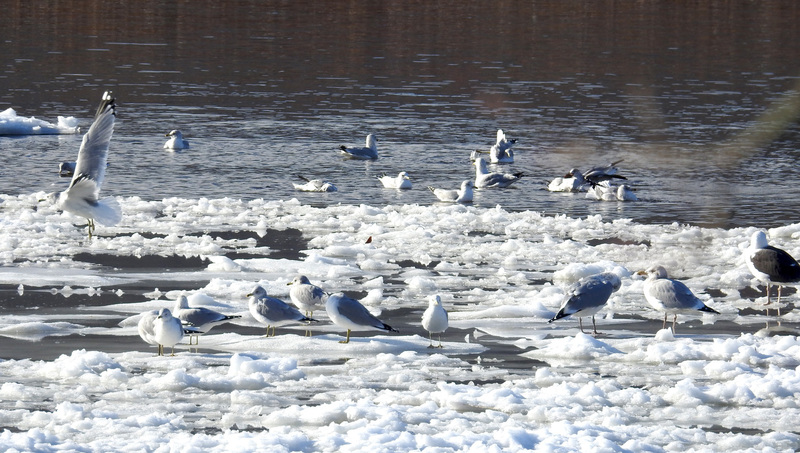 We don't usually see big numbers of gulls in southeastern Vermont in January. By now, the open water should be iced up or nearly so, but not with our warmest-on-record December of 2015! Our most common gulls are ring-billed gulls with a few herring gulls mixed in. 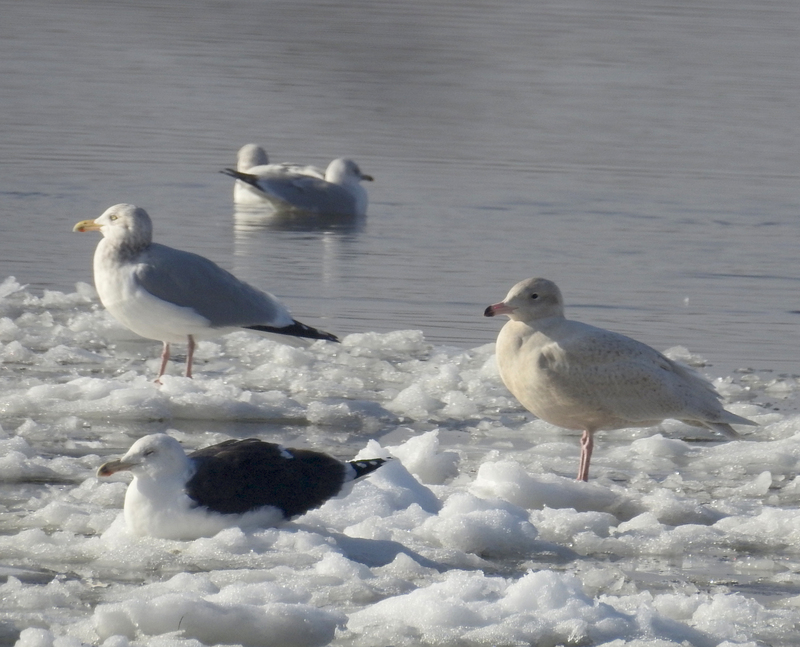 Just a few days ago, a glaucous gull was found in Brattleboro along with 4 great black-backed gulls. This is the first report of a glaucous gull in Windham county on eBird. They might have been seen in previous years but none were reported via eBird. That said, they are not common at all in our area. The decline in gull numbers is surely a direct result of the closing of open landfills. Not sure how this trash came to be dumped in the stump piles near the transfer station in Brattleboro, but it attracted hundreds of gulls including an Iceland Gull! Kumlien's, 2nd winter, in center. There are 2 subspecies of Iceland gull, one is our American form called Kumlien's which breeds in Canada and shows variable amounts of dark in the wingtips. The form that breeds in Greenland and winters from there to Europe, has very little or no dark in its wingtips. 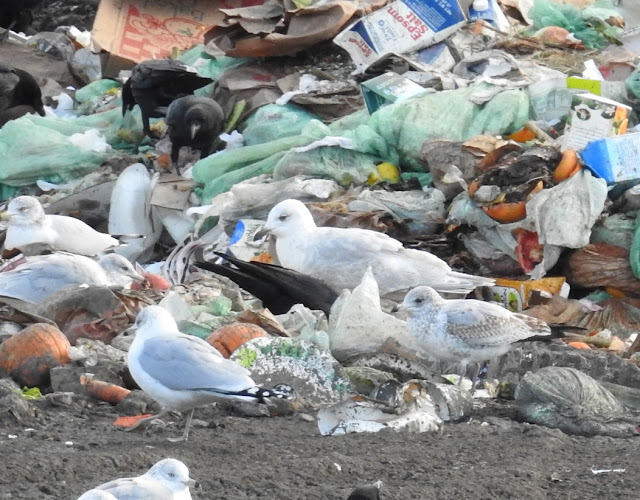 A combination of warm weather and some open trash has brought a nice influx of gulls to our area!